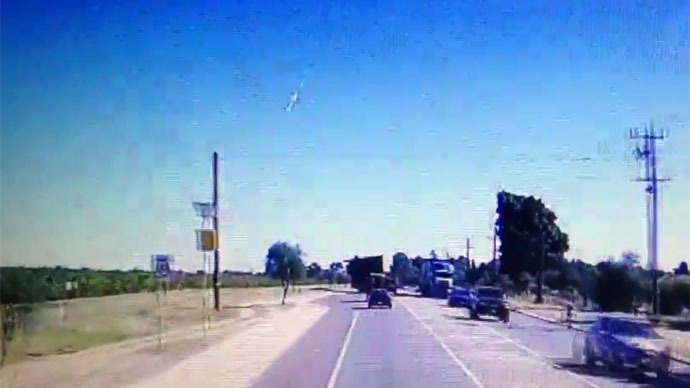 A huge fireball has been spotted in the skies over the Russian city of Chita near the border with China. An unidentified flying object, most probably a meteorite, made three extra bright flashes before burning out, according to eyewitness accounts. Witnesses described the incident as an unusually bright flash that illuminated the skies just after midnight on November 12. The falling object left long tail of light behind it. 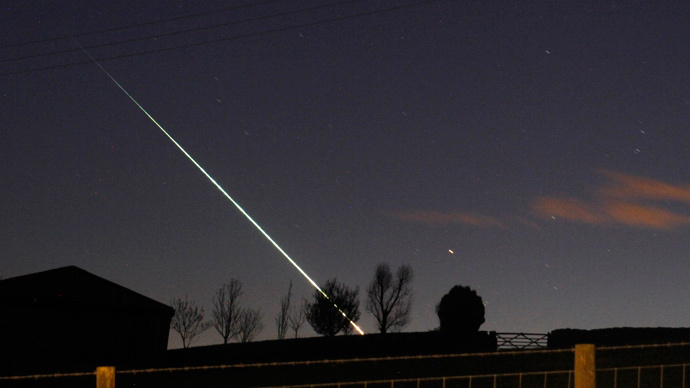 “It resembled a fall of some kind of an [space] object,” Zvezda TV channel said, citing an unnamed witness. The phenomenon was also allegedly clearly visible from neighboring cities. The Russian military said that no drills were conducted in the region last night. 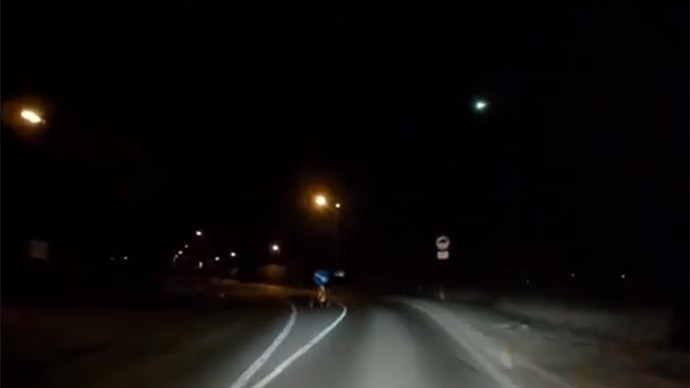 A similar meteor was clearly visible in the skies over Kaliningrad in Russia's farthest western province on October 31. 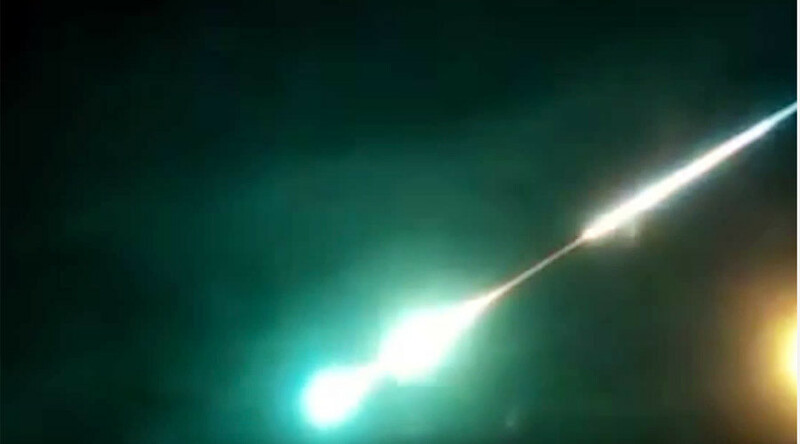 That fireball was also a green and blue color with a long tail of light. The largest meteor in modern history exploded over the city of Chelyabinsk in the Urals region of Russia in February 2013. The energy of the explosion was estimated to be equivalent to several megatons of TNT. However, the Chelyabinsk meteorite was relatively small, about 17 meters in diameter and it disintegrated with a blast at an altitude of over 40 kilometers. The impact wave damaged several buildings and blasted out many windows in the city.